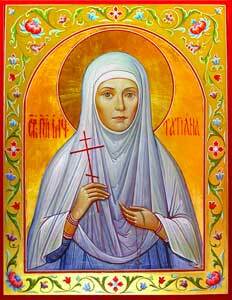 Today, January 12/25, is the feast day of St. Tatiana of Rome. In Russia it is celebrated as a national holiday called “Tatiana Day,” both in honor of the saint, whose name many Russian women bear, and in celebration of all students, since the church attached to Moscow State University is dedicated to St. Tatiana. In honor of this feast day, we offer the following article on the various saints who have borne the name Tatiana. Today, on the threshold of the feast day of St. Tatiana, let’s talk about what we know about the holy women who have borne this name. First, according to seniority, we should remember St. Tatiana of Rome. 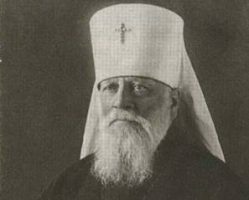 The life of St. Tatiana is full of various miracles, astonishing and daunting, which we will however leave aside; let us turn to the two main points of her life: her martyric witness to faith in Christ and her earthly podvig [heroic exploit]. Born into a noble Roman family of secret Christians, Tatiana chose from childhood the path that she would consistently follow for the rest of her life. Rejecting marriage, she gave all her strength to the service of the Church, was established as a deaconess at a Roman church, fasted, prayed, cared for the sick, and helped the needy – thereby serving God. The deaconess Tatiana was seized and, after long tortures, was put to death during the reign of the Emperor Severus Alexander (222-235). 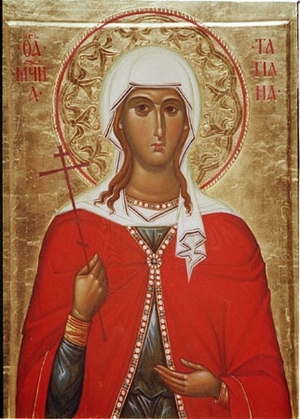 For many centuries, the Orthodox Church venerated only one Tatiana, St. Tatiana of Rome, but in the twentieth century all that changed. The persecution of the faith that swept the country showed forth to the world an entire host of martyred Tatianas, the first of whom was the most high-born: the Grand Duchess Tatiana the Passion-Bearer, daughter of the Emperor Nicholas and the Empress Alexandra. Following the example of her patron saint, the Grand Duchess Tatiana gave much of her time and energy to helping those in need. 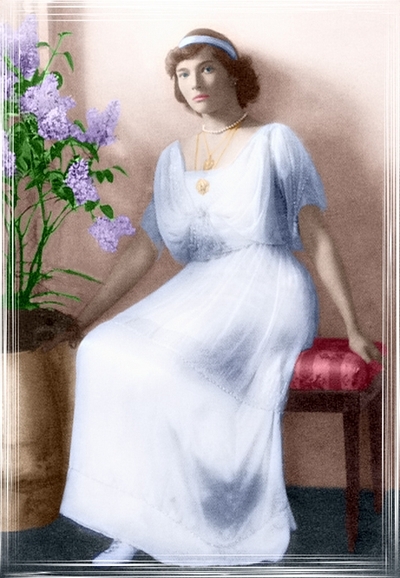 Thus she initiated the creation in Russia of the “Committee of Her Imperial Highness Grand Duchess Tatiana Nikolaevna for providing temporary assistance to victims of military disasters,” which had as its goal providing help to individuals who had fallen into poverty as a result of the circumstances of war. During the First World War, having passed their nursing exams, the elder Grand Duchesses worked in a hospital in Tsarskoe Selo. As a surgical nurse, the Grand Duchess Tatiana took part in difficult operations and, when required, went to the infirmary daily, even on her name’s day. The Grand Duchess Tatiana, along with all her sisters and her brother, was brutally killed only because she had been born into the royal family and had remained faithful to the end to her faith, her family, and her Fatherland. There are nine more saints, beside the Grand Duchess Tatiana, who are today numbered among the saints of the Russian Orthodox Church for witnessing to their faith in Christ during the mass persecutions of the Church in the 1930s. The list of the New Martyrs and Confessors of Russia grows year by year and perhaps soon we will witness the glorification of other Tatianas. We know quite a bit about some of them, while about others only the most general information has come down to us. But there is something in common that unites all these great women who we believe stand at God’s Throne near their patron saint, Tatiana of Rome, and who repeated her suffering centuries later on Russian soil. The Nun-Martyr Tatiana (Gribkova, 1879-1937), whose memory is celebrated on the Synaxis of the New Martyrs and Confessors of Russia and on the Synaxis of the New Martyrs of Butovo, was born into the family of a coachman in the village of Schukino, which has since become a district of Moscow. In 1896 this young woman entered the Kazan-Golovinsky Convent, where she lived for almost thirty years, until the Bolsheviks closed the convent. Sister Tatiana then returned home and lived with her sister. 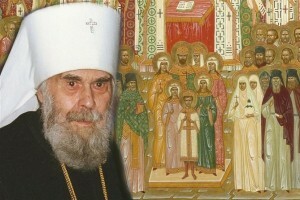 In 1937, the young Communist Kuznetsov, who rented a room with the Gribkovs, informed on Tatiana to the authorities, accusing her not only of “involvement with artisanal crafts and making quilts,” but of receiving many people, including “monastic audiences,” of “having good familiarity with the higher clergy,” and – a fantastic accusations – of “keeping gold reserves, since in the first years of the revolution she collected gold to help Tsar Nicholas.” Despite the evidence of false witnesses, she was arrested not immediately, but a short time later. Tatiana denied all charges during her interrogations and pleaded not guilty to counterrevolutionary activities. However, the NKVD troika of the Moscow region sentenced her to execution at the Butovo firing range outside Moscow. She was shot and buried in an unmarked mass grave on September 14, 1937. From the life of this saint we can deduce only indirect information about her character and the life she lived. She spent many years in the convent and cared deeply for what was happening to the clergy and laity during the years of persecution. Having left the devastated convent, she strove to preserve the monastic way of life in the world and, so as not to constrain her relatives, continued her work at home. Having suffered from the cruelty of neighbors, Sister Tatiana attained the crown of martyrdom from the hands of the Savior. We know a great deal more about the Martyr Tatiana (Grimblit). In 2012 our website published an article dedicated to this amazing woman. Tatiana Prokopevna Egorova – St. Tatiana of Kasimov – was born on January 15, 1879, in the village of Giblitsy, Ryazan district, in a poor peasant family. Tatiana did not learn how to read and write; before the revolution she, along with her parents and husband, were in the textile trade. In 1932 the family’s household was confiscated and they were expelled from the collective farm. 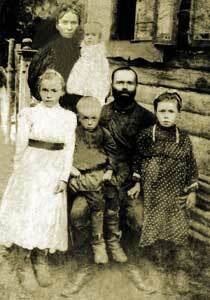 The husband and two children were forced to find work in Moscow. They never returned home. 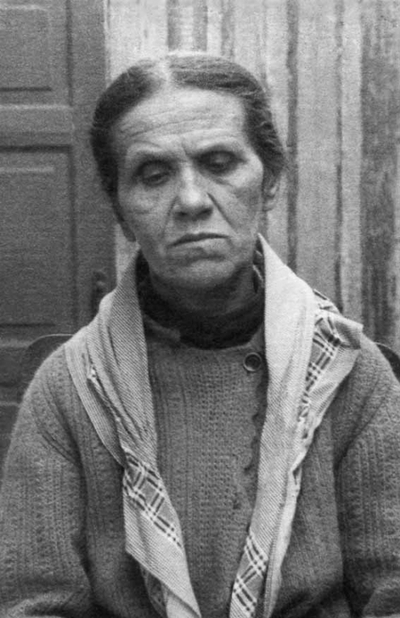 Tatiana was arrested as an “active church person” in November 1937. 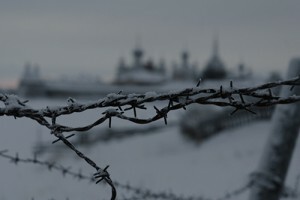 The NKVD troika of the Ryazan district sentenced Tatiana Prokopevna Egorova to death. The Martyr Tatiana (Tatiana Ignatyevna Kushnir) was born in 1889 in the Chernigov province into a peasant family. She was arrested, sentenced to two years in prison, sent to Karaganda, and shot in 1942 among a large group of faithful women by sentence of the Karaganda regional court. The Novice Tatiana (Fromichev) was born in 1897 into a peasant family in the village of Nadovrazhnoe, near the city of Istria. In 1916, at a relatively early age, she entered the Sts. Boris and Gleb Convent as a novice. Following the closure of the convent she returned to her parents. In 1931, the authorities began to persecute the monks and nuns of closed monasteries, inasmuch as they – even while in the world – strove to follow a monastic way of life. Thus, the Joint State Political Directorate opened a “case” against the nuns of the Sts. Boris and Gleb Convent in the Podolsk district. Several sisters did not leave the convent, where a holiday home had been opened, some working in this home and others settling in neighboring villages and engaging in handiworks. They all went to pray in the St. Elias Church in the village of Lemesheva. The church choir was made up of nuns and novices of closed convents. Among those singing in this choir was Sister Tatiana (Fromichev). In May 1931, the authorities arrested seventeen nuns and novices who had settled near the closed Monastery of the Exaltation of the Cross. Sister Tatiana found herself in prison. She spent the period from 1931 to 1934 in a labor camp. When she was freed, Tatiana settled in the village of Sheludkovo in the Volokolamsk region, where she helped Archpriest Vladimir of the Holy Trinity Church, with whom she was arrested in 1937. She categorically refused to confirm the investigators’ charges and declined to negotiate. Fr. Vladimir was shot, while Sister Tatiana was sentenced to ten years in a forced labor camp. It was there that she ended her earthly life. It is remarkable how courageously these modest middle-ages peasants gave their entire lives to helping their neighbors, laboring in the difficult conditions of famine and devastation, and encountering the lies, slanders, and threats that were cast in their faces. They went to their deaths firmly believing that they were going out to meet Christ. May God grant that we, who live in peaceful and quiet times, may have at least a drop of their sincere and firm faith! Holy Saints Tatiana, pray unto God for us!